RUTHERFORDTON, N.C. (APRIL 29, 2016): Located in western North Carolina, the Town of Rutherfordton is introducing four new trails just in time for spring strolls and family outings. The four trails include the Gold Mile, Historic Downtown Walking Tour, Kid’s Main Street Safari and Purple Martin Greenway. The public is invited to attend a ribbon cutting to officially launch the trails on Thursday, May 5, 2016 at 4 p.m. in front of KidSenses Children’s InterACTIVE Museum at 172 N. Main Street in downtown Rutherfordton. Travel this one-mile loop around downtown Rutherfordton while following a path of commemorative Bechtler gold coins. 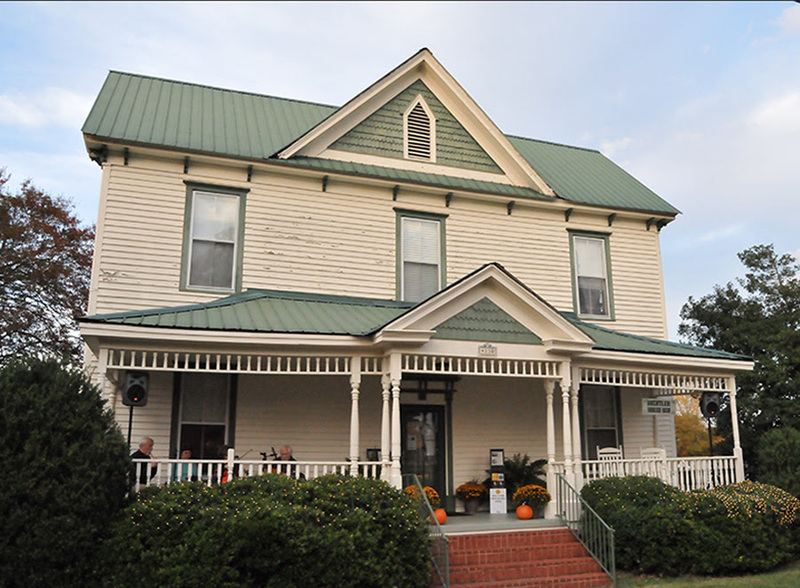 As a tribute to Christopher Bechtler – the man who minted America’s first one-dollar gold coin in 1832 – the trail starts and ends at the historic 1837 Bechtler House located at 130 W. 6th Street in Rutherfordton. Each gold coin replica is handcrafted by local artist Susan Brooks and engraved with a special dedication. Coupled with the Gold Mile is the Historic Downtown Walking Tour of Rutherfordton. Step back in time as you follow engraved plaques around town and scan QR codes to discover the legacy behind several historic buildings. Cool fact: The Historic Downtown Walking Tour features the largest cluster of antebellum homes and public structures anywhere in the southern foothills of North Carolina. Children and adults can team up on the Kid’s Main Street Safari – a Kids In Parks initiative. Search for clues around downtown Rutherfordton and discover a fun and engaging way to teach kids about history and heritage while getting a healthy dose of exercise. The trail boasts games, tree climbing, gold hunting and a search that leads participants through a Civil War cemetery, just to name a few highlights. As an added bonus, kids can receive prizes for completing the trail and logging their adventures online at www.kidsinparks.com. Named after the Purple Martin bird that appeared on General Griffith Rutherford’s family crest, the Purple Martin Greenway is Rutherfordton’s first natural trail system. This scenic path is designed for walking and running at any athletic level. The wooded trail provides an easy stroll alongside a bustling creek and is pet-friendly and handicap accessible. Located just off U.S. Hwy. 221 and south of downtown Rutherfordton, phase one opened in the fall of 2015 and includes an easy one-mile stroll along Cleghorn Creek. Picnic tables and a waterfall offer a welcomed break. Phase two is set to be completed by summer 2016 and will add an additional half-mile to the trail. Both trails will feature creative works from local artists that include interesting facts about the town’s history. The four new trails are showcased in an easy to follow, fold-out brochure available for pick up at the Rutherfordton Town Hall, the Bechtler House or the Rutherford County Chamber of Commerce, or for more information call 828-287-6113. The brochure can also be downloaded at www.rutherfordtontrails.com. 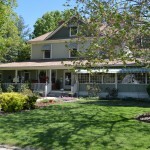 For more adventures, visit www.MyRutherfordton.com. For a complete list of all trails available in Lake Lure & the Blue Ridge Foothills of Rutherford County, N.C., view our online travel guide at www.RutherfordTourism.com. Established in 1787 and home to the man who minted America’s first one-dollar gold coin, the Town of Rutherfordton is one of the oldest towns in western North Carolina. Declared “A Minted Original,” visitors can mint their own unique experience in Rutherfordton by visiting charming shops that have spanned generations while collecting vintage treasures and admiring the only remaining cluster of antebellum homes in any North Carolina downtown. Enjoy a historic walking tour of Main Street that is also infused with modern day stops like an interactive children’s museum, fine women’s clothing, locally made arts, and craft food and drink. Learn more at www.myrutherfordton.com. About Lake Lure & the Blue Ridge Foothills of Rutherford County, N.C.
Have the time of your life in Lake Lure & the Blue Ridge Foothills, the famous film site of “Dirty Dancing.” Here, retreat to a destination where simple pleasures outshine the digital-age spectacles – a place where Main Streets reign over mega malls; where nature delivers the best adventures; and where history lives boldly and visibly in architecture, story, song, and spirit. Experience these journeys and more when you visit the majestic Blue Ridge Foothills of Rutherford County, N.C. Home to Lake Lure, Chimney Rock, Rutherfordton, Spindale, Forest City and Bostic, there is a world waiting for you to explore, enjoy and love. More info, visitwww.RutherfordTourism.com or call 800-849-5998.